Mumbai. The Christmas celebration has begun around the world with a bang. Santa Claus is considered to bring happiness at this occasion, which especially makes children happy. Rajan Kumar 'Charlie, who won the title 'Charlie Chaplin 2' by the Guinness Book of World Records now, as a 'Santa Claus' he will entertain children in Mumbai on December 23, 2018 and give gifts. 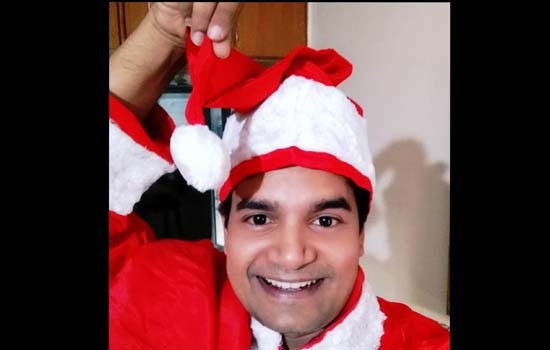 Actor Rajan Kumar who acted in many Hindi films such as 'Shahar Masiha Nahi' and 'Namaste Bihar' is now going to share happiness among children by becoming a Santa Claus just a few days before Christmas. He will be seen as ‘Santa Claus’ on Sunday 23rd December at 4:30 pm Carnival Cinema, Goregaon (West), at 6:30 pm Tarapur Tower Society, Andheri (West) and at 8:30 in the Galleria Hiranandani Garden, Andheri (East) to entertain children and give them gifts. Also at 5:30 pm in the evening he will be at Lokhandwala Circle to discuss about the environment with the people and especially children. Rajan Kumar has already made a record as Green Santa and now it seems that once again he is going to do something great.